A 4-star comfort only at 3 minutes drive from the airport and 15 minutes to Port Denarau for boat transfers to the islands. Novotel Nadi hotel is situated on 42 acres of tropical gardens with every room overlooking the golf course and gardens. With a dip in the pool and breakfast on the garden terrace your day gets off to a fresh start at Novotel. 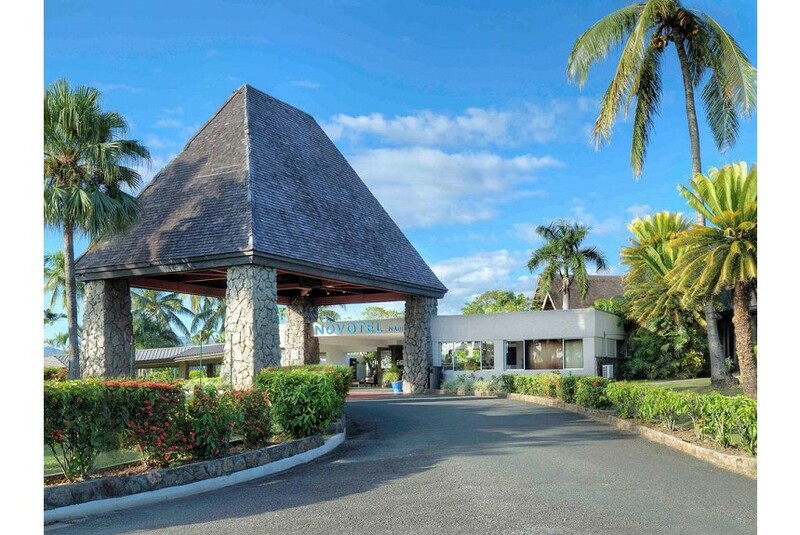 Idyllically located within lush tropical gardens, Novotel Nadi is a veritable island paradise, just 15-minute from Nadi International Airport, and 10-minutes from the city centre. Whether you're travelling with friends or enjoying a family holiday, you and your group will have easy access to the best local attractions, including beautiful Denarau Island and the incredible array of Asian Orchids at the Garden of the Sleeping Giant.